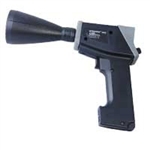 Ultraprobe Accessories Reliability Direct, Inc. Your Direct Source for Reliability, Maintenance, Test & Measurement! Advanced technology from UE Systems and National Aeronautics and Space Administration brings distant leaks close-up. (like an ultrasonic telescope) UP-LRM 9/10 Long Range Module for use with UE Systems UP9000 and UP10000 Ultrasonic Inspection systems. Bend this probe to odd angles to locate sound sources in hard to reach areas. Shielded cable, works with either module for hard to reach areas. Standard length: 8' (2.4M). Lengths up to 50 ft. are available. A specialized module to help locate LOW LEVEL pressure and vacuum leaks. The UWC doubles the detection range of standard scanning modules and pinpoints ultrasonic leaks & electric emissions at great distances. UE Systems LRM 2 Long Range Module for use with UE Systems UP2000 series Ultrasonic Inspection system. RAS-MT Remote Access Sensors for UE Systems Ultraprobe 9000 series and up. RAM-9 is used with the RAS-MT Remote Access Sensor for UE Systems Ultraprobe 9000 series and up.